Chart No. 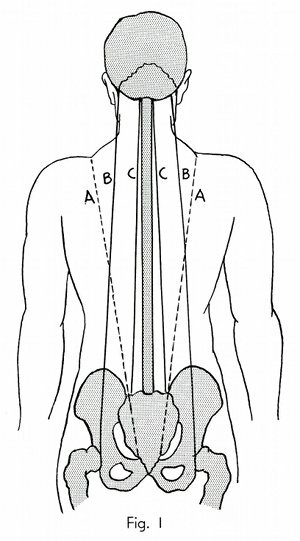 2 - Superior and Inferior Polarity Relationships. 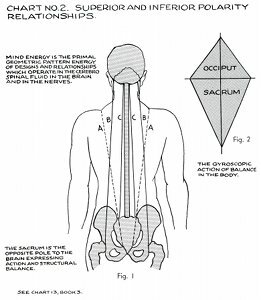 Mind energy is the primal geometric pattern energy of designs and relationships which operate in the cerebro spinal [cerebrospinal] fluid in the brain and in the nerves. 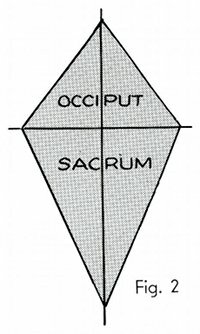 The sacrum is the opposite pole to the brain expressing action and structural balance. See Chart 13, Book 3. 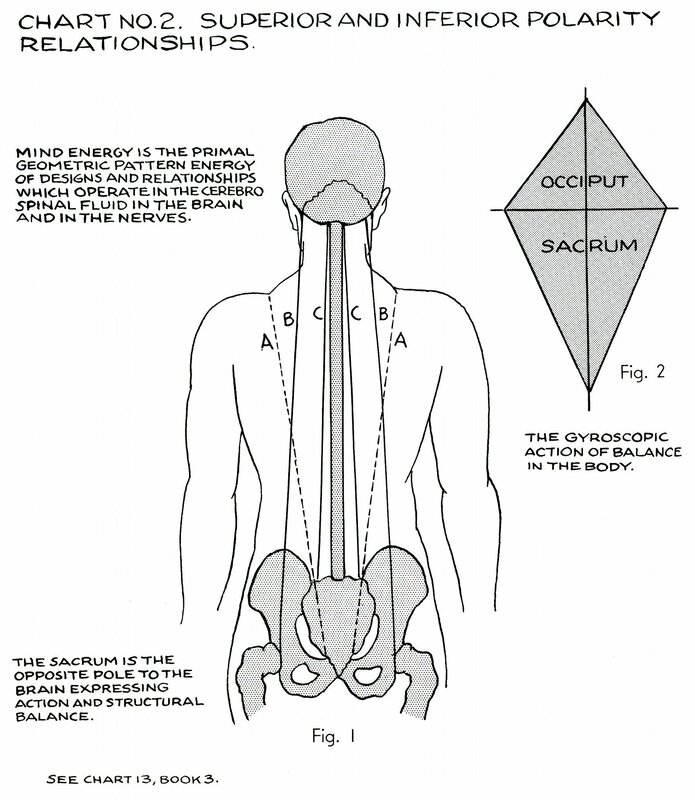 The gyroscopic action of balance in the body. Book 4, "Explanation of Chart No. 2"